Yes 9in rears but using same size tyres so that fine. Rear wheels outer edge is same as STD 10in rears. 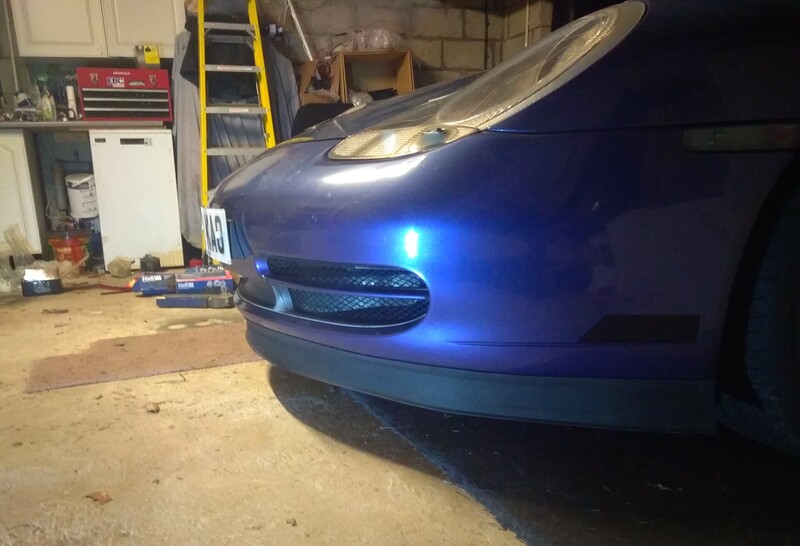 Front do definitely need a spacer. I've got 15mm on all round at the moment and they are fine. wait... do i have deja-vu? Look great. What size tyres are you running? Do you know the weight of the panamera wheels? Do you use longer bolts with the spacers? Yes longer bolts, they come with the spacers. Quick run today for some food shopping so tried to get some better photos. Also I saw a full aerokit car yesterday for the first time in a while and it look great, god I cant make my mind up. Indeed. A tribute to the Tom Hartley ads! I know this might make some of you bring your breakfast up but I strangely quite like this. 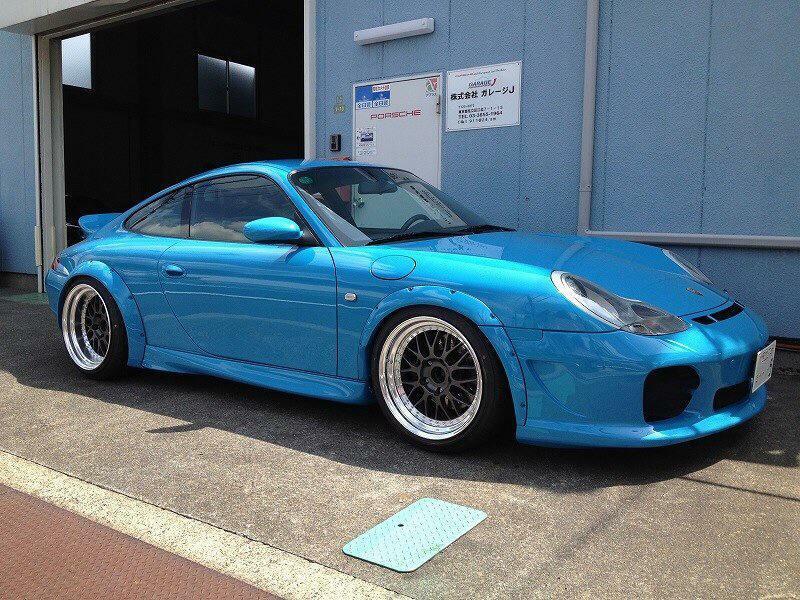 All or nothing really but kind of harks to Gt2 993 or 996 Rsr cars. 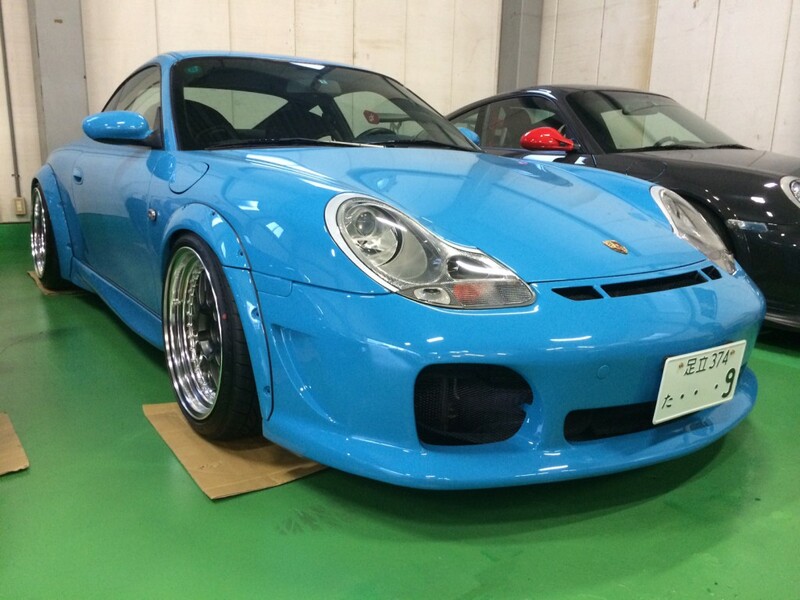 Front bumper is also an option on its own. I like the look but couldn't have those arches without another 150bhp+ to back it up. Grey one looks great, if slightly front-heavy. I don't like the vents-to-nowhere in front of the wheels though. 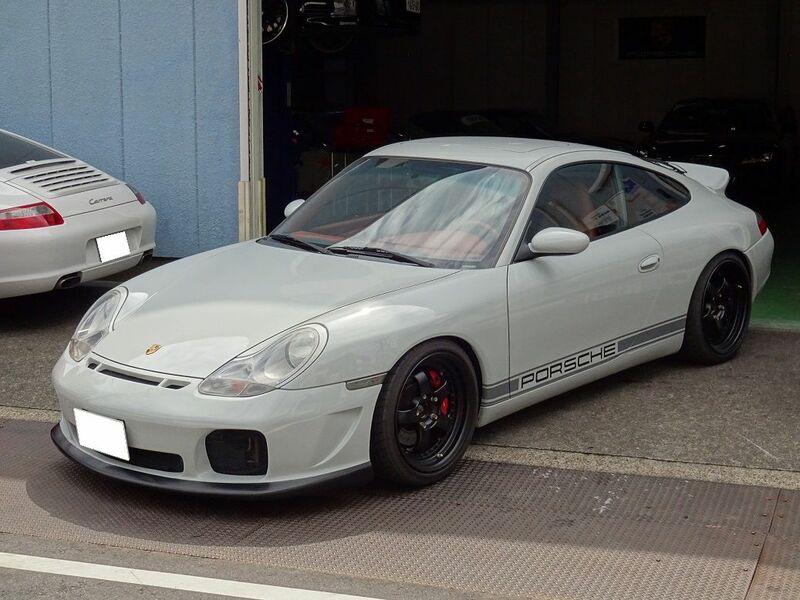 Is the grey one Porsche Slate Grey? There's a gorgeous MK1 Golf that colour at DJ Autowerk at the moment. There is that regarding the all mouth and no trousers aspect. Grey one looks similar to nardo, slate is a lot darker. I'm so glad someone else tried those wheels before me. I'm not saying they look bad, just that I very nearly bought a set because they are reasonably good looking and easy to get hold of, but my wheel budget is so small I can't afford to make a mistake. 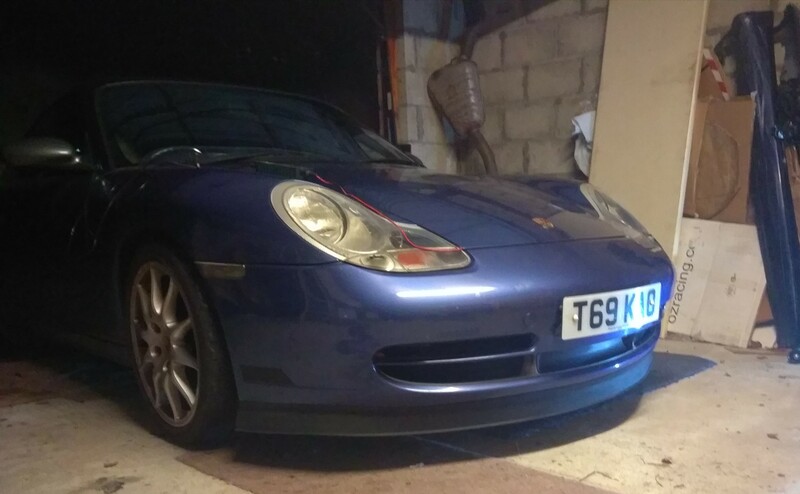 It's a well kept secret that stock Panamera wheels will fit a 996, and because they all get upgraded they can be had for not much money in great condition off Ebay. Nothing much happening with my car. Bought some 20mm spacers for front and some second hand 30mm H&R springs so on the look out for some dampers. Trying to decide to go full hog and replaced all coffins arms and tuning forks when I do the struts and springs. Also still not decided on what to do about front bumper change. 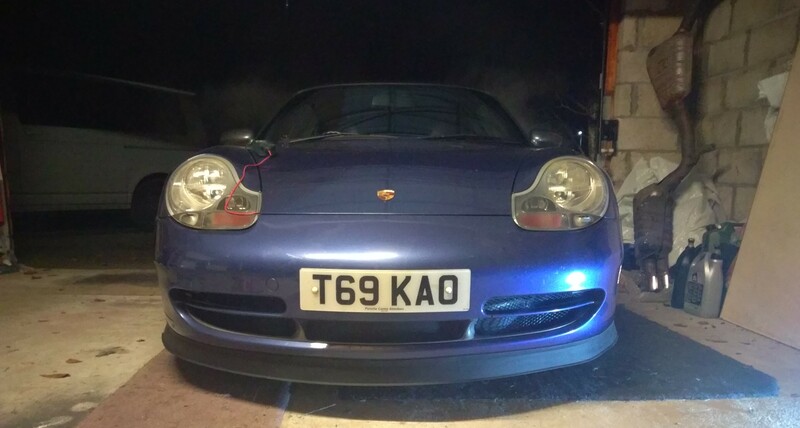 Ive put my RS4 up for sale and will be selling my daily car as well to reduce number of cars so if that goes as the plan is to do more miles in the 911 next year so I might just tidy up some bits and leave the proper painting for a while. You can just inspect the other components for wear. I replaced all my coffin arms (still ongoing as I'm removing the Elephant racing ones soon) but my dog bones were fine and my fork arms too. Just get a pry bar in and have a pull on things. You can feel it when driving if something is amiss. Mine was steering from the rear a bit going into corners. That was the coffin arm bushes. Ah the old "streamlining of the fleet". Comes to us all at various points in life. You'll miss that RS4 but you can only drive one at a time eh. Even keeping them all clean, mot'd and maintained properly could be a full time job if you let it. I'm sure I've said it before, I know I have on my thread but I wouldn't make a car perfect paint wise if I still wanted to drive it in anger. I hadn't had any big paintwork jobs done for almost 20 years (my old Ford RS's) when I got mine done last year and I'd forgotten how ***** it makes you about the car afterwards. It's annoying finding a new chip somewhere everytime you wash it. Same with the wife's Abarth that was brand new 18 months ago. I thought "Finally a car we can keep like brand new, because it is". No chance. 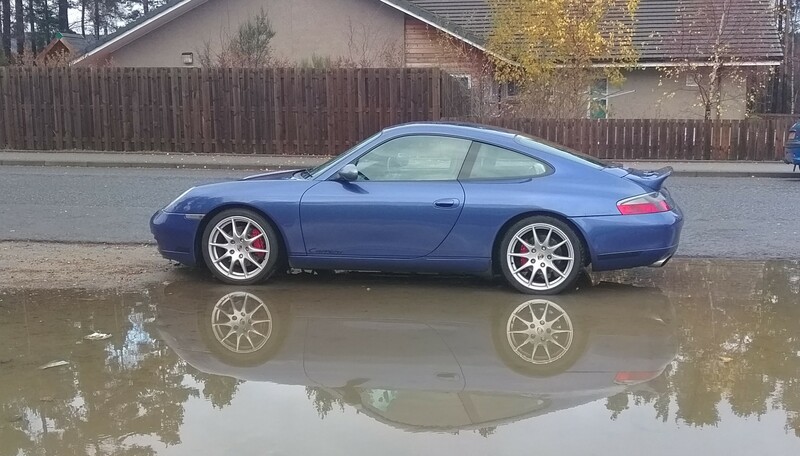 I'm going to have to PPF the 996 for my sanity. Another big chunk of investment compared to the value of the car. Get your worst bits done then get a chipex kit for the minor bits. You can get good results with touch ups, building them up then flatting them back down level. No car bodywork is perfect unless it's new or it doesn't get driven. RS4 sold at the weekend so I have some funds set aside to get arches done soon. Very tempted to go for coilovers now. Trying to get something else asap as my wife keeps hinting at things. I have said we can get her a newer car which I'm happy with. Wasbt going to replace the RS4 but I think I'm.going to get another cheaper old car that I can muck around with. Nothing too expensive though, just rareish and something that makes a nice noise. Oh and minimal rust! Have to say the more I look at those panamera wheels, the more I like them. I’ve got sport designs on, freshly coated in silver but I’m not that keen on them anymore. 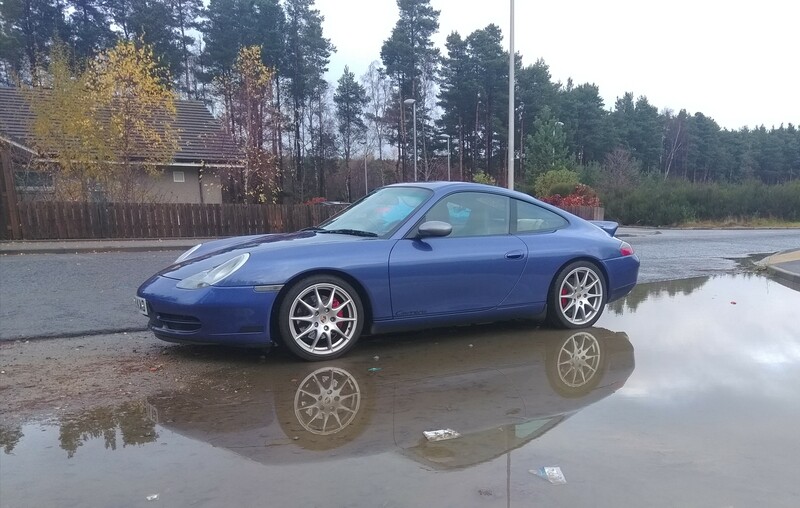 My cars midnight blue and they just don’t look right in silver but I think the panameras would.